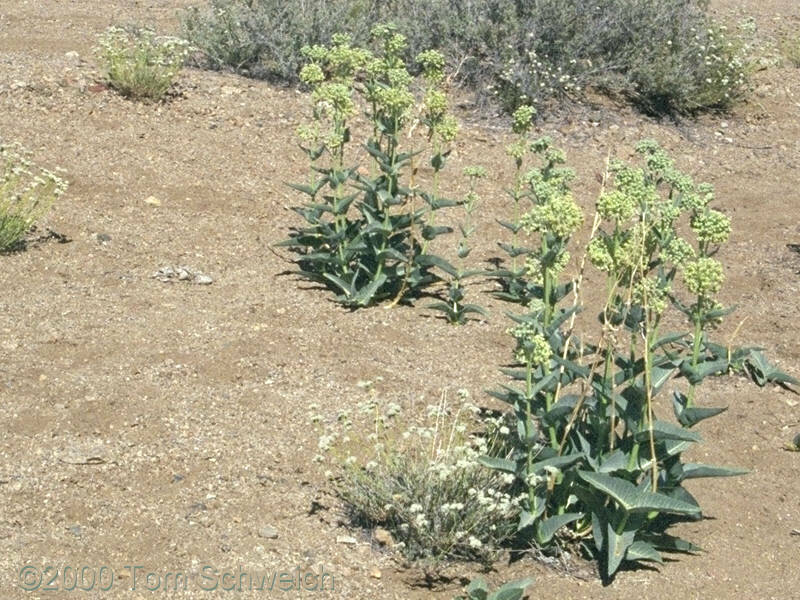 A colony of Milk Weed (Asclepias erosa) in Wild Horse Canyon wash. My collection #255. Winkler's Cabin Road: w. side Wild Horse Cyn wash.
Field Notes: Coll. No. 255, 5 Jun 2000. Other photos about Species or Asclepiadaceae Asclepias erosa.